For Many Americans, the Great Recession Never Ended. Is the Fed About to Make It Worse? 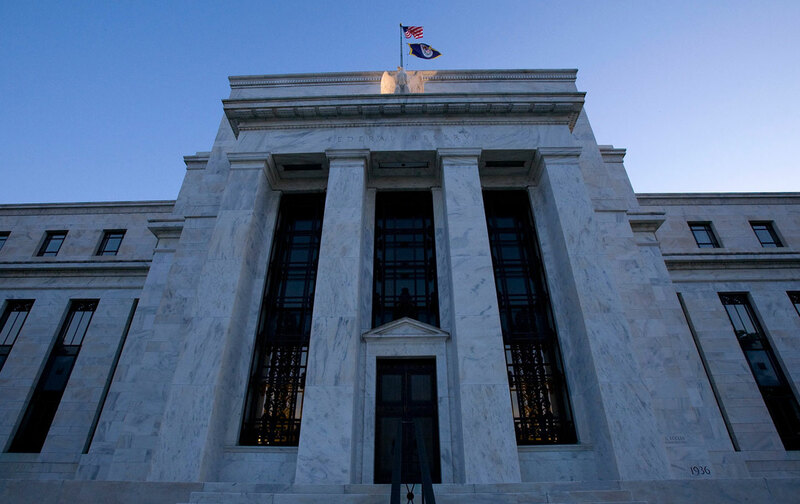 Why it’s a mistake for the Federal Reserve to raise interest rates this year. When the Federal Reserve considers raising interest rates on July 28—and then again every six weeks after—MyAsia Reid, of Philadelphia, will be paying close attention. Despite holding a bachelor’s degree in computer science, completing a series of related internships, and presenting original research across the country, Reid could not find a job in her field and, instead, pieces together a nine-hour-per-week tutoring job and a 20-hour-per-week cosmetology gig. The 25-year-old knows that an interest-rate hike will hurt her chances of finding the kinds of jobs for which she has trained, and earning the wage increase she so desperately needs. A Fed decision to raise interest rates, expected sometime this year, amounts to a vote of confidence in the economy—a declaration that we have achieved the robust recovery we need. “We are close to where we want to be, and we now think that the economy cannot only tolerate but needs higher interest rates,” the chairwoman of the Federal Reserve, Janet Yellen, told Congress during a July 15 policy briefing. For millions of Americans, the recovery has yet to arrive, and for them, an interest rate hike will be disastrous. But for many millions of Americans, the recovery has yet to arrive, and for them, a rate hike will be disastrous. It will put the brakes on an economy still trudging toward stability; stall progress on unemployment, especially for African-Americans; and slow wage growth even more for the vast majority of American workers. The general argument for raising interest rates is that it will prevent wage costs from pushing up inflation. However, there is no data suggesting price instability; nor is there any indication that wages have risen enough to spur such inflation. For the overwhelming majority of American workers, wages have stagnated or even dropped over the past 35 years, even as CEOs have seen their compensation grow 937 percent. During the same period, wage gaps between white workers and workers of color have increased, and black unemployment is at the level of white unemployment at the height of the Great Recession. Meanwhile, the labor-force participation rate is less than 63 percent, the lowest in nearly four decades, suggesting that many Americans have simply given up looking for work. Yellen has herself often urged the Fed to look at the broadest possible employment picture. Yet, during her recent congressional testimony, she downplayed the Fed’s ability to address racial disparities, saying that the central bank does not “have the tools to be able to address the structure of unemployment across groups” and that “there isn’t anything directly that the Federal Reserve can do” about it. She cited, rightly, a range of other factors, including disparate educational attainment and skill levels, that contribute to economic and social disparities between racial groups. But she also glossed over the importance of the economic environment in shaping workers’ unequal chances. One defining metric in shaping workers’ chances is the unemployment rate. A high unemployment rate facilitates racial discrimination. When there are too many qualified job candidates for every job, employers can arbitrarily limit their labor pool based on unnecessary educational requirements, irrelevant credit or background checks, or straightforward bias. A tight labor market, by contrast, makes it much harder for employers to succumb to prejudices and overlook qualified workers simply because of bias. When the number of job seekers matches the number of job vacancies, African-Americans, Latinos, women, gays and lesbians, injured veterans, and formerly incarcerated workers finally get their due in the workforce. The late 1990s, when unemployment was at about 4 percent, bear out this thesis. During that rosier era, black unemployment was 7.6 percent, and the ratio of black family income to white family income rose substantially. As the guardian of monetary policy, the Federal Reserve has a number of tools for encouraging a tight labor market, and one of those tools is to keep interest rates low. By keeping rates low, the Fed creates a hospitable environment for job growth by lowering the borrowing costs for consumer and business spending—including hiring new workers. By contrast, raising rates deliberately suppresses spending by consumers and businesses. In the process, it slows job growth, holds down wages, and unnecessarily maintains racial disparities. With so many workers still struggling, there is no need to cut off this recovery prematurely. Inflation remains below the Fed’s already-low 2 percent target, unemployment and underemployment are too high, and wage growth and labor-force participation are too low. In fact, the Fed should be doing everything within its power to keep nudging the recovery forward for the workers still caught in the slipstream of the Great Recession. The Federal Reserve should not raise interest rates this week, nor when it meets again six weeks after that. It should not raise rates at all in 2015. Doing so would cause tremendous harm to the aspirations and lives of tens of millions of working families, and would disproportionately hurt African-Americans. MyAsia Reid knows the difference that a full-employment economy can make. She is ready to participate in the economic recovery. And she will be watching as the Fed decides whether to hold to a strategy of strengthening the recovery or pursue a new strategy that jeopardizes her chances and her community. Connie M. RazzaConnie M. Razza is the director of strategic research at the Center for Popular Democracy. You can follow her at @connierazza.